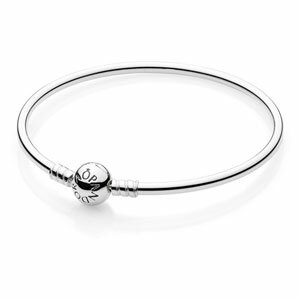 Sterling Silver Bangle Bracelet with PANDORA Snap Clasp. All sizes of this item are currently in stock. Length: Select A Length Length: 6.7" Length: 7.5" Length: 8.3"